What’s in a Name? . . .
“That which we call a rose by any other name would smell as sweet.” Romeo and Juliet, Act II, Scene II. That seems very simple, doesn’t it? However, once I started thinking about the process of naming offspring, it became readily apparent that it is not, in fact, so straight-forward. Names are derived from many sources. There are family names (Lula, Jasper, Delano, Thea, Erie, Luther, Dovie, Ilene, Lavonia, Lavinia, Lloyd, Henson, and Florence all are from my family tree); names from royalty (Henry, William, Eric, Edward, Ann, Elizabeth, Mary); and names honoring actors or characters from movies and stories (Lillian, Tallulah, Scout, Marilyn, Greta, and Scarlett) to name only a few. Often only one word is needed to invoke an image. For example, Oprah, Brad, Jen, and Elvis leave little room for the imagination to roam. On other occasions, saints (our son Christopher), religious leaders (Mohammed), and civil rights activists (Malcolm, and Martin) are honored. We are told, when choosing a name for a baby, to pick a name with strength or character. A multitude of books tell us that our child’s success in corporate America depends greatly upon his/her name! The Indians placed great stock in the power of a name. There was a dedication ceremony during which the infant was raised to each of the four directions while being named. A young girl might be called Mourning Dove, for her grace and beauty. Later in life, a warrior would go on a quest during which he would choose his name based upon his vision. 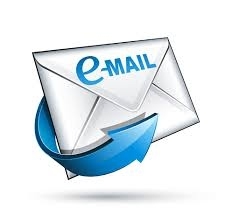 It would often involve an animal: Sitting Bull, Grey Eagle, Grey Wolf, etc. The Indians believed that they derived the power of their totem, after which they were named. There are also ethnic names. Everyone remembers little Nicky, the wiry little guy who lived down the street with a perpetual toothpick hanging out of his mouth. He always wore a Brylcreem-slicked-back D.A., and Nicky could take you out, as my Mother would say, “Quicker than who’d a thought it.” Nowadays, Nicky might still have a slicked-back corrupted version of the D.A., but she probably spells her name Nikki. Of course, she’s very likely able to take you out in a heartbeat, just as her male counterpart could! Nicky/Nikki could be Greek, could be Russian, could be just a Heinz 57. Other ethnic names are more obvious: Wolfgang, Patrick, Ahmed, Ling, Latifah, and Devon (my Irish-inspired daughter’s name). There are gender-specific names such as John and Linda. But there are also gender-neutral names, more so now than ever, such as Jordan, Michael/Mychael, Terry/Terri, Danny/Danni, Billy/Billie, and Alex. There are those who were named for plants and birds: Ivy, Fern, Rose, Daisy, Violet, Wren, and Robin, for example. I’ve even met a boy named Field. There are Dawn, Sunny, Windy, Stormy, and even Rain. Brandy seems to be a popular libation at present, but you don’t usually hear of a person called Rum or Vodka! Probably only a matter of time. After all, the Apple (Gwyneth Paltrow’s daughter) has fallen from the tree, so why not throw in a Martini for good measure? There are gems such as Ruby, Emerald, Sapphire, and Opal and even a famous jeweler-inspired name, Tiffany (Tommy’s daughter). “Unique” was the word which came most readily to mind when I started thinking of LHS classmates who were of the “only-one-name-necessary” variety! At first I thought that Tommy had probably covered most of the unusual ones, but when I started remembering, I was surprised at the overwhelming rush of names I recalled! My first thought was of Marquietta (Hunt), one of my best friends at Lee. I have never met another Marquietta to this day, and only recall hearing the name on one other occasion. Gilda (Wilburn) is another good friend who comes to mind. One thought led to another, and I submit these other names for your consideration: Cecilia (Sheppard), Venita (Boyd), Merle (Huff), Regna (Warren), Gretel and Marlene (Voelkl), Berndt and Heidi (Wuenscher), Helene (Doninni), Gudrun (Wagner), Lehman (Williams), Dag (Rowe), Coby (West), Lamarr (Taylor), Jed (Stephens), Spencer (Thompson), Alvin (McCartt), and Justin (Dickens). My extreme apologies to anyone whose name I misspelled. I decided not to consult my yearbook for this exercise. If you knew you were specifically referring to a female, Ricky could only be Weaver, and our only male Connie was Mullins. Our bird was Robin (Kitson). And Dawn could only be Larson. Even though Mary, Ann, and Carol were relatively common names, Mary Ann would always make me think of another good friend, Mary Ann Bond, and Carol Ann could only be Cornelison. There were many nicknames for many of us. However, the two that come immediately to mind were Bunny (Bradley) and Poochie Parker. No one ever called them Beverly or Evelyn. So, dear friends, I ask you: What is in a name? Tradition, awe, thought, strength, respect, power, beauty, reverence, family, love, and most certainly an arrangement of letters. You may call yourself any name you choose to me as long as that name is followed by the word “friend,” which is surely one of the most powerful words in any language in the world. That is how I think of each of you, whether you are one of my (g)old buddies from the early days at LJHS or LHS, one of those with whom I’ve recently reconnected from an even earlier time, or one I’ve yet to meet but have come to know through the magic of cyberspace. Memphis, TN - Thanks to Barbara for contributing this week's feature story. It is good to have her insights available again. I am getting off topic again with my story but this is one I did for my creative writing class and I hope you enjoy it. Those five little words, seen on a wee shop sign on my first visit to the United Kingdom, proved truthful beyond all doubt. My recent visit to Scotland reminded me once again that we are unquestionably two great nations divided by a common language. My first language challenge came with those of you who I found in my class when Werner Von Braun’s brought his rocket scientists to Huntsville. Next, the Yankee construction workers and another flock of scientists from north of the Mason Dixon Line joined them and their language seemed just as foreign to me. The first time I said something to Barbara Seeley and she asked “Pardon?” instead of the Southern “Huh?” I was dumbfounded. In 1969 I left the land of the Southern drawl and journeyed to California to the U.S. Air Force Navigator Training School and found the California beach boys and hippies had their own language as well, but I adapted. But if I thought I had heard and conquered all the speech challenges I would ever encounter in my life, I had a new thought coming when I first set foot in England in 1978. I thought I knew the Queen’s English pretty good; after all, didn’t we all survive the British Invasion in 1963 when the Beatles landed on our shores and their music echoed in our ears? We loved hearing them talk and could not get enough of Twiggy, Carnaby Street, and movies like “Dr. No” and “The Pink Panther.” The problem was, we did not have to communicate with the actors on the screen. It was always a one-way street just hearing them and not having to talk back to them in our own native tongue. A three-week temporary duty trip to an air base just outside Cambridge in 1978 gave me my first opportunity to actually have to converse with real people who spoke that beautiful language we all fell in love with a decade earlier. I will never forget my first encounter with a Brit speaking words I could hear but did not understand. I was standing on a street corner in Cambridge and this little Agatha Christy looking lady walked up to me and asked “Are you queuing?” Now this was before everyone was exposed to the meaning of that word thanks to the computer world, and being from Alabama I had never heard the phrase. She must have thought me daft when I turned to her and said “Mam, I don’t think so, but if I am and I am not supposed to be then I’m sorry.” She looked at me rather strangely and then proceeded to walk past and join a group of people who were actually lined up and waiting for the next bus. I was not complete unprepared to hear about a car’s trunk being a “boot” and the hood being a “bonnet” thanks to all the James Bond films I watched earlier in my life. However, when I asked where the “John” was, it took a little explaining and a language translation to learn the same thing over there was called a “Lou”. I should have just asked where the “Crapper” was, since Thomas Crapper was from London and his name became part of our language due to his plumbing adventures. But “crapper” sounds so rude here, even though the word is visible on many toilets in his native country. We also encounter a problem in what we call the things we eat. Want an English muffin for breakfast? You need to order a crumpet. Our “potato chips” are “crisps” to Brits. Our “French Fries” are “chips.” They have a dish called “bangers and mash” which is link sausages and mashed potatoes with “mushy peas” on the side. Yes, link sausages are bangers. What we call “biscuits” are more like “scones” in England. What they call “biscuits” are sweet “cookies” in our version of the English language. I often wonder what the average Londoner thinks when he visits a McDonald’s in the United States and sees “Sausage and Biscuits” on the menu. Is he expecting to be served a “banger and a chocolate chip cookie?” How would that taste? Even worse – biscuits and gravy! A word at the top of my list of somewhat taboo American words with a totally different meaning in the United Kingdom proves my point. Our American term for the little coin holder we wear around our waste, “the Fanny Pack”, is a no-no phrase for the “bum bag” as the Brits call it. “Fanny” is what we American’s call our buttocks. In Britain, “fanny” refers to the female sexual organ. So, don’t go shouting that out loud “I’m going to pat you on your fanny!” That gives a whole different meaning to the literary work “Fanny Hill,” doesn’t it? I know that’s a lot to take in at one reading, but those are not all of the common language problems an American encounters on a visit across the pond. I won’t even start on the differences in electrical current, money, and which side of the motorway (a.k.a. freeway) one really should drive on. Rule Britannia! 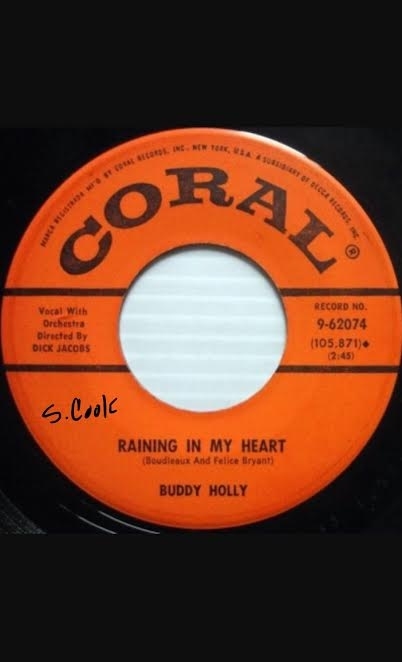 Skip Cook mentioned in last week's Traveller that he might have "mis-placed" his copy of Buddy Holly's "Raining in My Heart" , and sure enough, found it, in "my" collection that I previously described. However, in this case I think that we actually traded records at a party at Sylvia Becks' house where I gave him my copy of "Oh Boy", also by Buddy Holly. Could be wrong Skip, that was a long time ago. By the way Skip, if you would like the complete list of the records in my collection with your name on them that you traded me just let me know!